What are bonus slot machines and where to buy such machines? 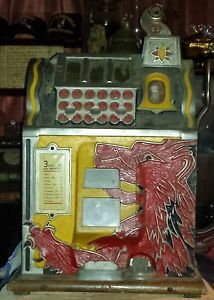 Home / Blog / What are bonus slot machines and where to buy such machines? Bonus slot machines are simply those slot machines that feature bonus games and other bonus features in the slot game. 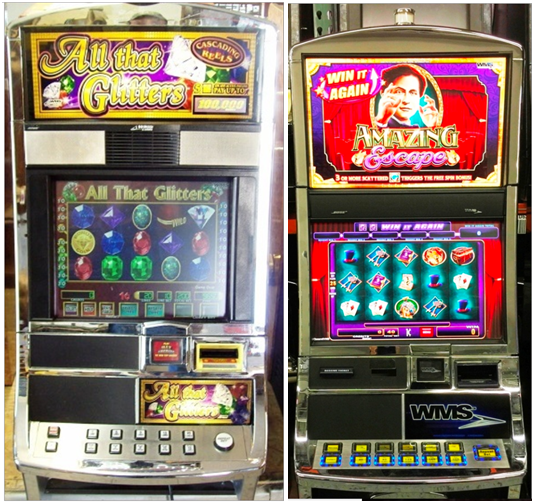 Such machines are also video based machines means to play online or classic machines you find at land casinos. These machines give the player chances to win extra prizes. Bonus slot machines have high definition screens and have the exciting bonus rounds and complex winning combinations to make wins. There are many features found at such bonus slot machines. Players can place bets on many lines increasing their chances of winning. Winnings can be in the thousands if one plays long enough. Most machines are a penny or nickel denomination because players can play over a hundred credits in one spin. Players can opt to get a hand pay machine or one that plays with tickets at no extra cost. Eliminating printer tickets can save money down the road. A slot machine may contain any combination of a bonus game, free spins and a gamble feature, in fact, many slots contain all three features and some slots even have multiple bonus games. A bonus game feature is any sort of feature that is additional feature to the normal spin function of the slots game For example if the slot takes you to a different screen where you get to spin a wheel that would be a type of bonus game, but if the reels of the game suddenly changed and you had to select the symbols to discover point values behind them that would also be classed as a bonus game. This is not the same as a free spins feature or gamble feature, although a gamble feature can be classed as a type of bonus game, it is often just a gamble of your winnings. Whilst a genuine bonus game will ‘usually’ (but not always) result in you winning some extra credits and very rarely does it ever involve risking any of your winnings from the previous spin. A free spins feature is also sometimes called a free games feature and this is where a player wins extra spins that they would usually have to pay for. This is a different feature to a bonus game or gamble feature. Often when a slot is in free spins mode there will be a change in sound, and sometimes even colour or lights flashing to signify you are in a free spins feature. There is often a count down so you can see how many free spins you have remaining. On some slots the free spins will spin on their own (meaning you will not need to click spin or pull the lever) whilst on others you will still need to click spin but on all of them you will not have to pay anything for each free spin. Whilst at the same time the machine will payout on any winning combinations that you land on whilst in free spin mode. On 5 reel video slots a gamble feature usually takes the form of a player being offered the choice to select a card; the choice is usually either red or black, or guess a suit, if the color of the card is guessed correctly the winnings are usually doubled. If the suit is guessed correctly the winnings are usually quadrupled. This feature is usually played once the player has made a winning combination and actually has some winnings to gamble with. Fruit machines also have an option to gamble winnings. Usually this is a more simple version where a number is displayed (usually between 1 and 12) and the play has to guess if the next number generated will be higher or lower. If the player guesses correctly then his/her winnings are doubled and they can choose to collect the winnings or gamble again for another chance to double their winnings. If the player guesses wrong then the players winnings from that spin (and any previous gambles since the spin) are lost. 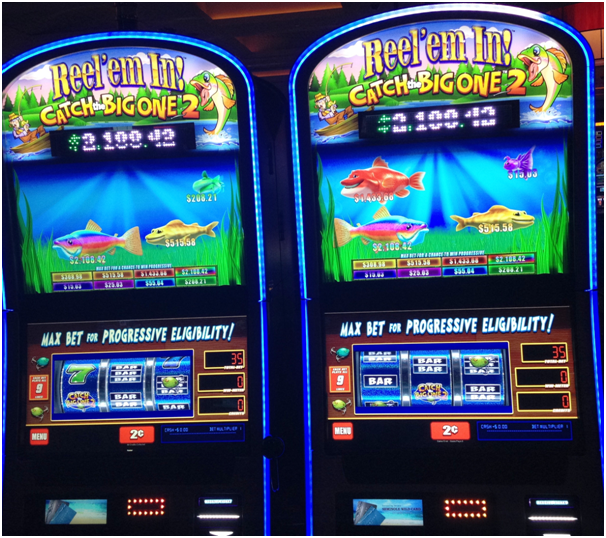 The first slot to offer a bonus game on a second screen was Reel Em In; a slots game that was a game developed by WMS Industries Inc in 1996. But now video slots and microchip technology has meant that there is far more creative scope for the developers of slots to provide increasingly entertaining and unusual bonus games. This means that bonus games can be like mini computer games or arcade games which is a great feature for any slot machine. In the world of online slots the software provider Rival has manufactured iSlots with many interesting bonus games that are interactive and relate to a story line. 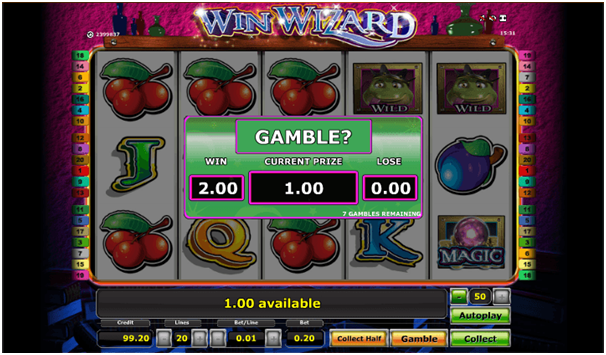 This makes these online slot machines interactive and they can be likened to a cross between a slots game and a computer game and a short movie. Another popular slot is Winning Bid with its auction themed bonus game, Here you select an item to auction off and the bidding starts. Then there is the Holy Grail slot machine which is a Monty Python themed slot machine, Neon Nights, Monopoly, Terminator and Top Gun. All of these can be found in Las Vegas land casinos. If you are looking for video slots then there are also a great deal of online slot machines with bonus games such as Bearly fishing which is a Microgaming slot with free spins and a gamble feature. As the Reels Turn 1, 2 and 3 which all have both skill based or pick an item style bonus games. Elvis Multi Strike which has bonus features that contain film and concert footage of the King himself and finally a great example of a slot with free spins is Get Rocked slots which has a great free spin feature. Other popular slot machines you can buy are Jackpot Party and Wolf Run or Gold Fish giving the player huge wins. How to play Bonus Slot Machines? In these real slot machines the bonus games and free spins are often triggered by a bonus symbol, like three or more bonus symbols falling anywhere on the reels may trigger a bonus game. 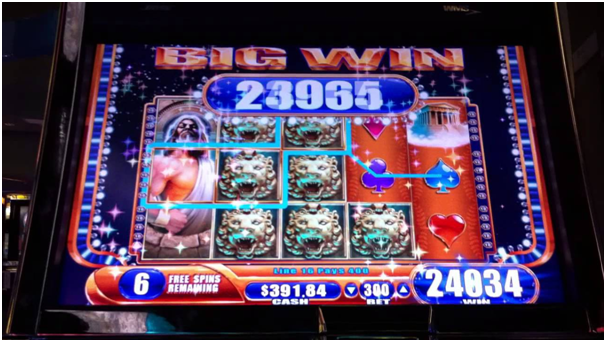 This is why it is important to look at a slots paytable as bonus symbols are often clearly marked and there will often be a brief explanation of how the free spins or bonus features are triggered. Scatter symbols can also trigger bonus features. Gamble features are usually triggered by getting a winning combination of symbols as this means that you win some money. You need to have something to gamble with to play a gamble feature. Bonus games generally fall in to one of two categories. Some bonus games will be very simple and a player simply has to select items to reveal additional prizes; this is known as a pick an item style bonus game. Some bonus games will require a degree of skill. For example, you may have to aim and shoot at moving objects and if you hit them you will be awarded a prize for each item you hit. This is known as a skill based game. 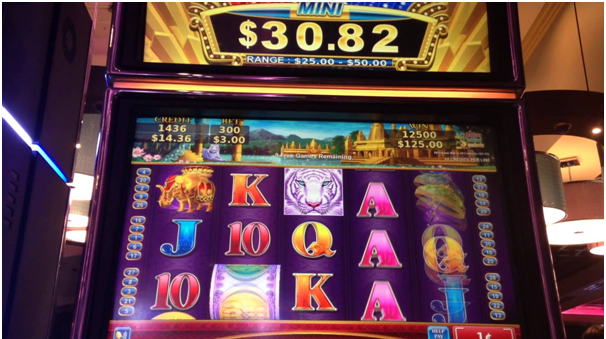 All such bonus slot games spice up game play and add an extra dimension to your slot playing. When the bonus game finishes and you are back to the reels as the regular slot machine game and continue playing. 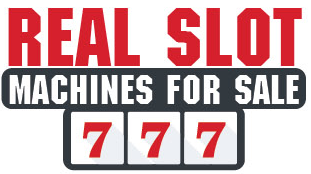 You can buy real bonus slot machines at many online websites like EBay, Slotsforsale, Amazon or at realslotmachinesforsale and cost between the range of $1000-$3000.